Karnataka holds its charm in the intriguing mix of tourist attractions, which makes it favorite with the tourists across the globe. The archaic monuments remind you of the glories of the past, when kings and emperors braved the battles and celebrated the victories in building palaces and temples. It lays invitation for to explore its treasure trove of awe-inspiring boulder-laden landscape, lush greenery spreading beyond the horizons and serene wilderness. Arrive at Bangalore & take a transfer to Mysore. Mysore is a major tourist city of Karnataka. The city was the erstwhile capital of the state and hence has played an important role in the history of the state and of South India. In the evening, The Krishnaraj Sagar Dam and the adjoining Brindavan Gardens are worth visiting. 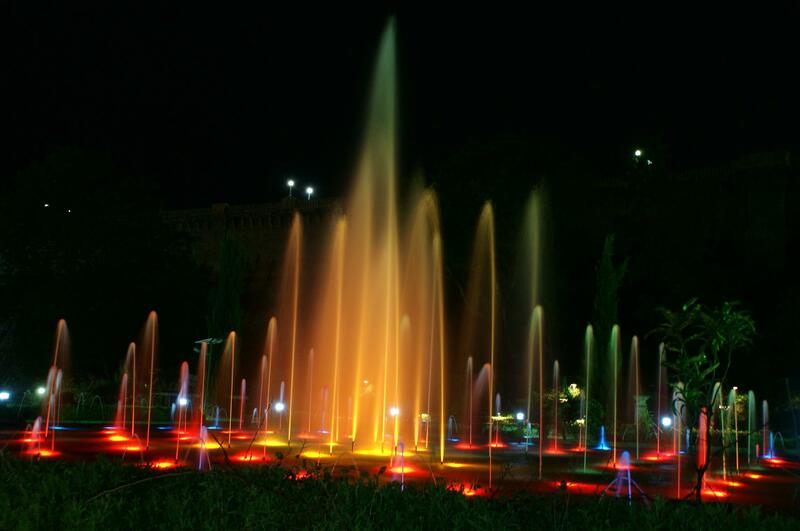 The Brindavan Gardens is one of its kinds in the country. It is famous all over for its colorfully lit dancing fountains that come alive once the sun sets. Cover local sightseeing of Mysore including visit to Maharaja’s Palace – Mysore Palace or the Mysore Maharaja Palace is located in the heart of the city. And its one of the largest palaces in the country, also known as Amba Vilas Palace, was the residence of the Wodeyar Maharaja’s of the Mysore state. St. Philomena’s Church – This beautiful St.Philomena’s Church was built in 1956 and is one of the largest churches in the country. The illuminated church in the evening is a wonderful site not to be missed. St. Philomena’s Cathedral is among the most majestic churches in India, Chamundi Hill – Chamundi Hills can be viewed from a distance of about 8 to 10 kms and from all the corners of Mysore City. Chamundeshwari temple is situated on the top of Chamundi hill which is about 3,489 ft. above sea level and located at a distance of 13 kms. from Mysore , Mysore Zoo – The Mysore Zoo is the oldest Zoo in the country and was set up by Maharaja Chamaraja Wodeyar in 1892. Mysore Zoo is a pleasant experience also because most animals are kept in well spaced enclosures and it’s a delight to see them move around freely., Jaganmohan Palace – The Jaganmohan Palace was built during rule of Krishnaraja Wodeyar III in 1861, as an alternate retreat for the royal family. The Mysore Palace, which was the original home of the royal family, was burnt down in a fire and the construction of a new palace in its place was started in the year 1897, etc. Check out from the hotel & proceed to Ooty. Tamil Nadu is the land of the Tamils It is a land where traditions and culture blend and continue to live in harmony..
Ootacamund or Ooty is situated in Nilgiri Mountains near Tri Junction of Tamil Nadu, Karnataka and Kerala. Ooty is the only hill station in india which attracts visitors during all seasons.Arrival at Ooty, late in the afternoon & check in.Evening free for relaxation. Cover the sightseeing of Ooty including visit to Dodabetta Peak – Doddabetta Peak is the highest vantage point in Ooty, located at around 2,623 m. This peak is regarded as one of the highest peaks in South India, which lies at the junction of the Eastern and Western Ghats, Botanical Gardens – A wide variety of exotic and ornamental plants adorn this garden. There is also a beautiful Italian floral garden and for those who simply want to relax, there’s always the green carpet of the well-maintained lawns. etc. Boating can be enjoyed on the placid Ooty Lake – Ooty Lake is an artificial lake, formed by John Sullivan, the founder of Ooty, in 1824. The artificial lake was formed by the mountain streams flowing down Ooty valley. The entire lake is surrounded by eucalyptus trees that add to its beauty. Cover the sightseeing of Coonoor – Coonoor lies in the Nilgiri district and is located at an altitude of 1800 metres above sea level. This second largest hill station in the Nilgiri, after Ooty, is perfect base for trekking expeditions. The city of Coonoor also has the regimental headquarters of the Madras Regiment of the Indian Army. including visit to the Tea Gardens & Estates – There are multiple tea plantations in the hill station that produce fresh green tea leaves., Sim’s Park – Sim’s Park is the main tourist attraction in the town, which is basically a botanical garden with different varieties of plants. Moreover, this park hosts a Fruit Show during the summer months. etc. Check out & proceed to Kodaikanal : Its is a unique place. Rows and rows of silky pine trees sloping down to clear, cold streams, spectacular views which suddenly disappear in foamy mist, people bundled up in sweaters and overcoats. We seek peace quiet in a hill station, not the noise and fume of factories. Arrival at Kodaikanal & check in Hotel. Remaining day to relax. After breakfast proceed to cover the local sightseeing which includes some attractive points like Coaker’s Walk – A kilometre’s walk from the lake. It derives the name Lt. Coaker, who prepared the map of Kodai. Coaker’s Walk runs along a steep, emerald green wooded slope. Tiger Leap, Bryant’s Park – This park is situated on the eastern side of the lake. It is noted for flowers, hybrids and grafts, Cut flowers are exported from here, Green Valley View – It is about 5.5 Kms from the lake and located very close to Golf club, it commands a beautiful view of entire vaigai dam, As the valley is very deep, dense and dangerous, recommended to see with precautionary measures., Pillar Rocks – It is about 7.4 Kms from the lake. Three boulders stand shoulder to shoulder vertically measuring of about 122 meters providing a beautiful view. It has a mini garden, Bear Shola Falls – An ideal picnic spot 1.6-km from bus stand and within 2 Kms of the lake, where once bears came to drink water.& Lake – A magnificent star-shaped lake glitters like a jewel amidst the emerald green wooded slopes. This 24 hectare lake is skirted by 5 Kms long, black tapped road is focal point of Kodai, Golf links etc. 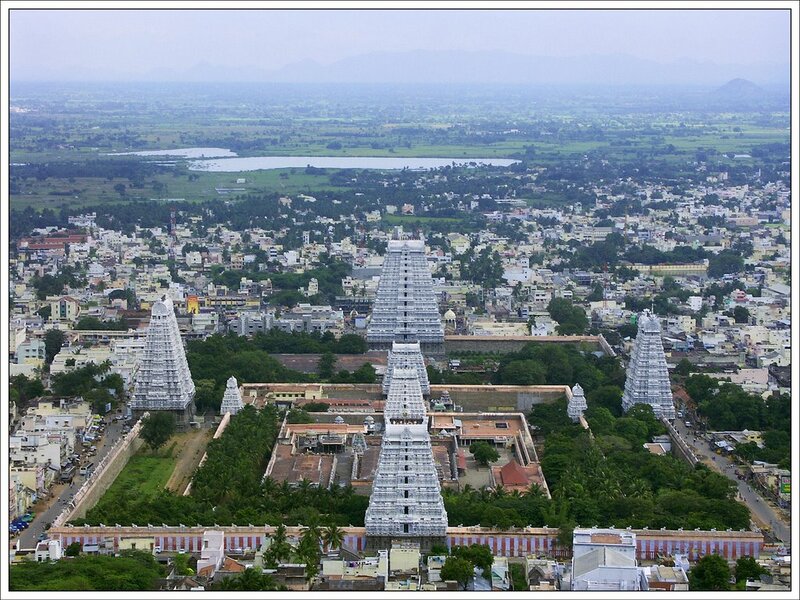 In the morning, check out from the hotel & depart to Coimbatore Station or Airport for onward journey.